Beer asteroids, beer invaders, and beer blaster are three arcade games that play very similar to the arcade classics asteroids, space invaders, and astroblast. These games are totally modernized and designed to run under modern 3d hardware. You should have a 3d graphics adapter that supports directx 9.0 or better to play. All of the games have a beer theme and feature textured beer bottles that role, tumble, and explode. You can play by mouse, keyboard, or joystick for that classic arcade feel. Who wants to battle asteroids or space invaders when you can battle bottles of your favorite beverage? Whether you feel like busting up some bud lite, coors, foster, or even a corona or two, this games for you. Watch out for the beer kegs that fire missiles at you (no, i said i wanted a 'bud' lite. 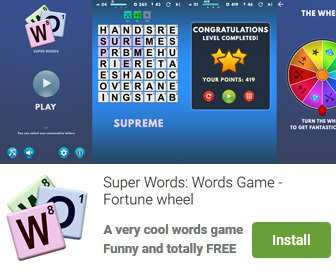 With three games to choose from, i m sure you ll find one of your favorites here. Cool looking backgrounds and realistic arcade animation and sound effects. 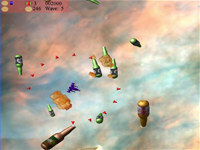 Beer Asteroids, Invaders, and Blaster is a game that works under windows xp, windows vista, . It supports both 32-bit & 64-bit windows editions, therefore it could run faster on 64-bit computers. Estimated download time for Beer Asteroids, Invaders, and Blaster on a common adsl connection is less than a minute. Version 1.2 was released four thousand four hundred thirty nine days ago by SB-Software. Click the green download button to download it now.